This post will be out of sequence compared with the subjects around it, but I need to post this today so my chemistry students can make use of the resources here during class. 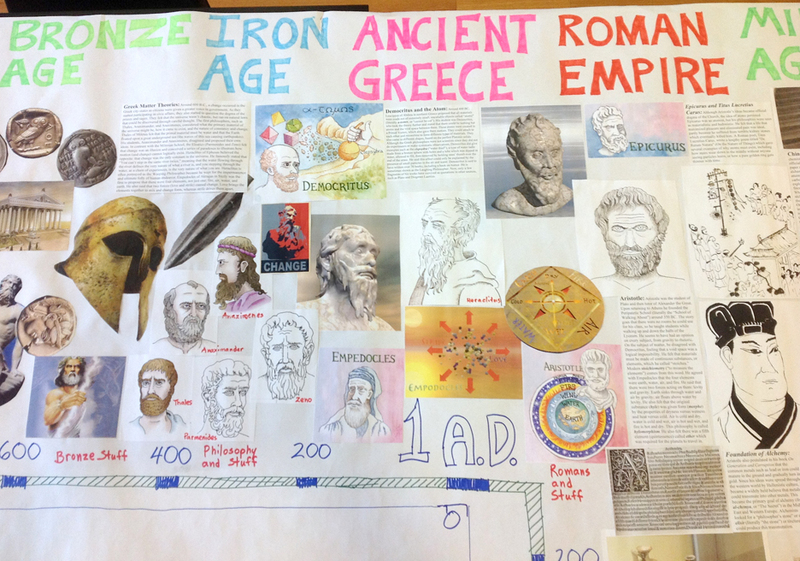 As part of the STEM-Arts Alliance project I’ve implemented in my science classes over the last two years, I’ve tried out a number of different ways to help students learn STEM concepts through art and history. You’ve hopefully looked at some of the other projects we’ve done, such as making iron-gall ink and watercolor pigments, junk sculptures, element ornaments, stop motion animation, etc. 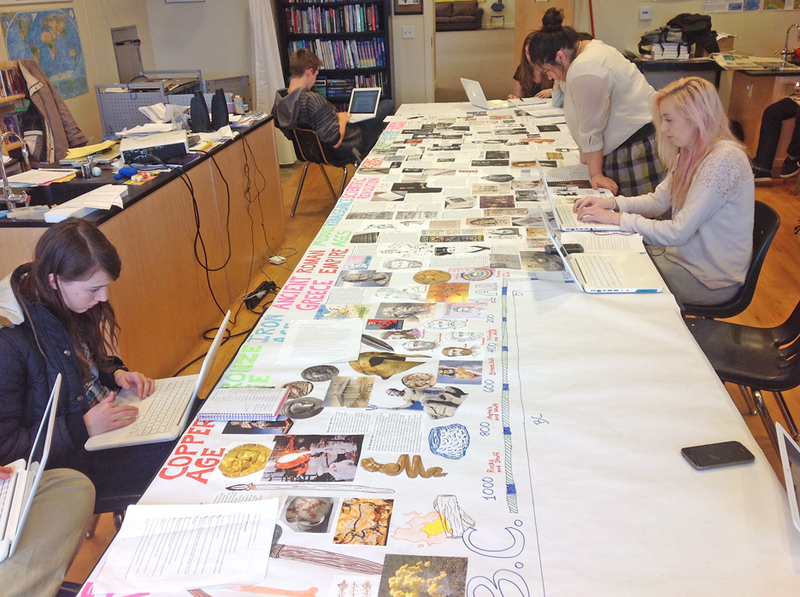 For our recent project, my students and I have created a large banner, which is a timeline of the history of atomic theory. 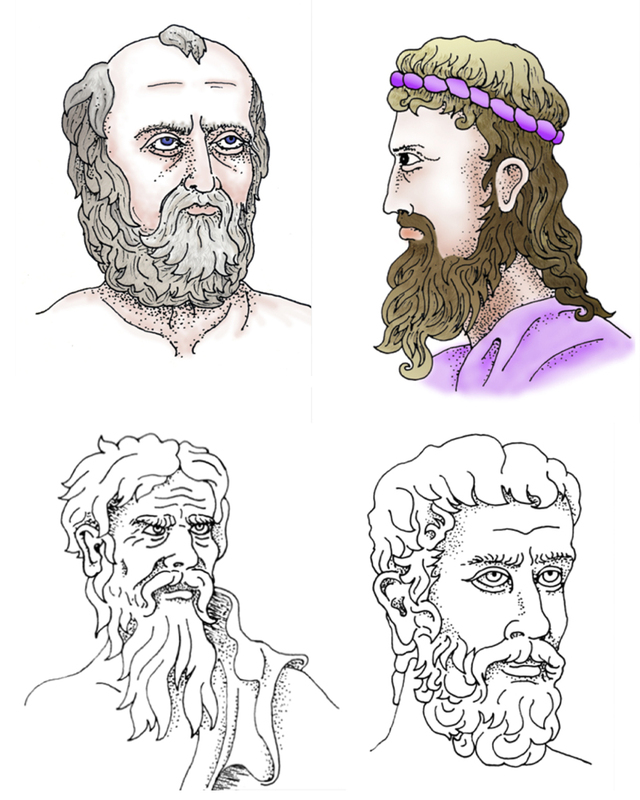 Greek philosophers: Anaximander, Anaxemines, Heraclitus, and Parmenides. Illustrations by David Black. 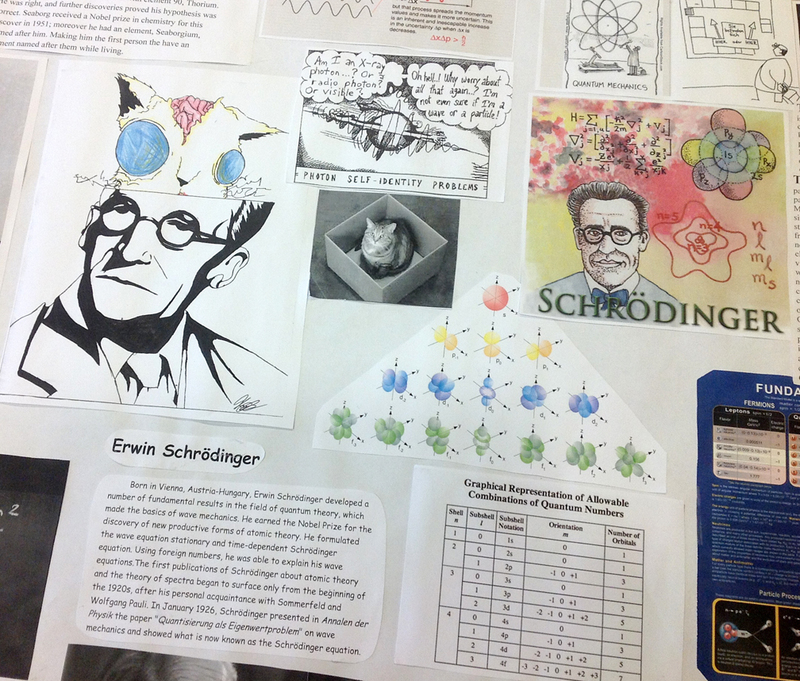 I designed the banner to fit along one wall of my classroom. It is 15 feet long and four feet wide, except where a chunk had to be cut out to avoid the door. 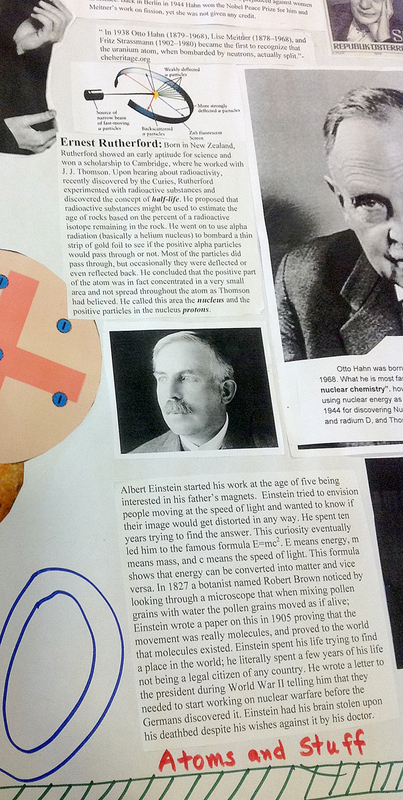 Each student selected an atomic theorist from a list and researched that person, writing up a long paragraph on who they were, what they did to advance our understanding of the atom, and why it was significant. 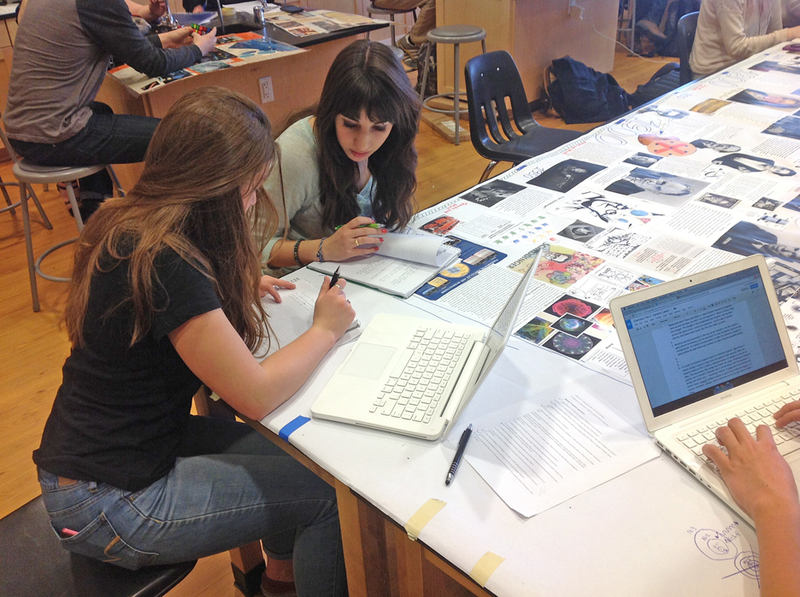 In addition to this caption, the students also had to find a photo or illustration of the person and another of their theories or apparatus. Most of these were images found on the Internet, but a few were original drawings. 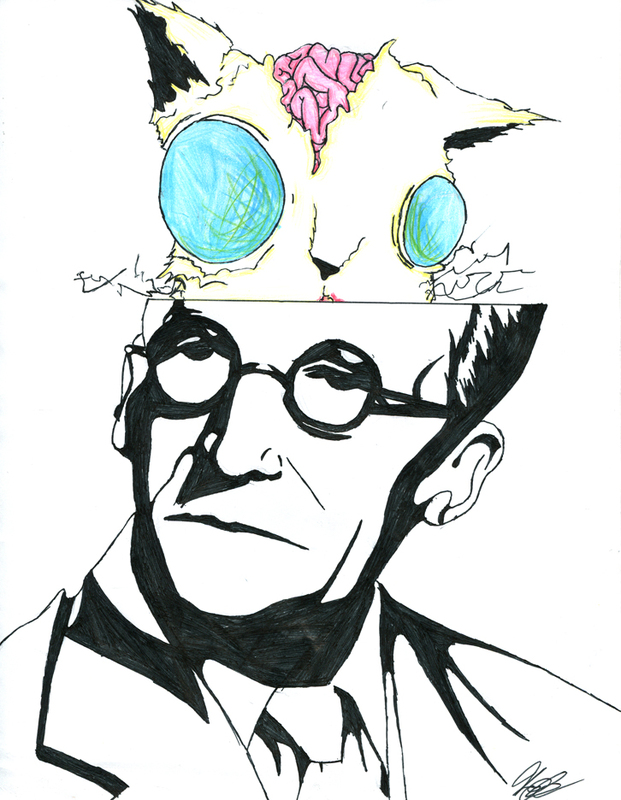 One of my students, Katie, drew a picture of Erwin Schrödinger with a zombie cat emerging from his brain – well, the cat is both alive and dead, so it must be an undead cat . 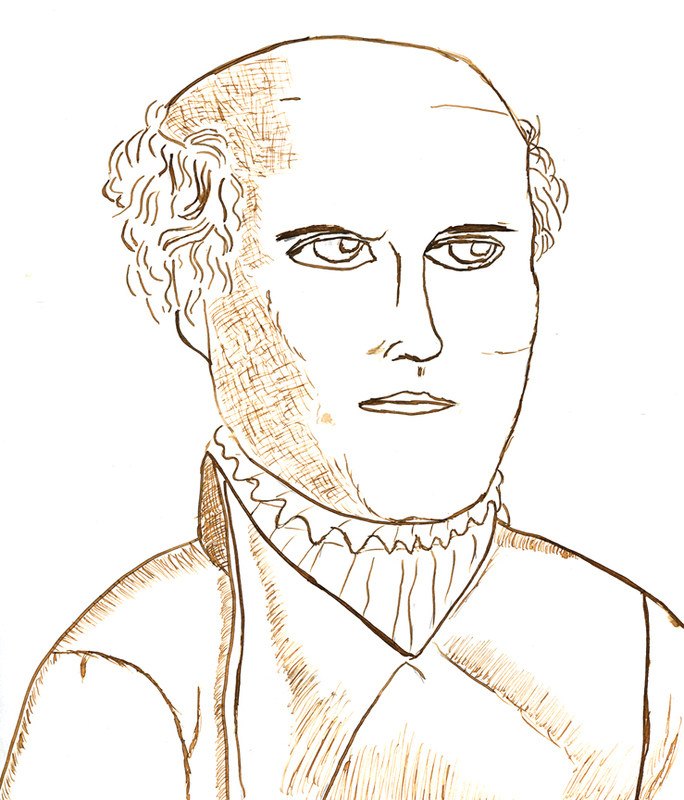 . .
Paracelsus, drawn by a student using homemade iron-gall ink. 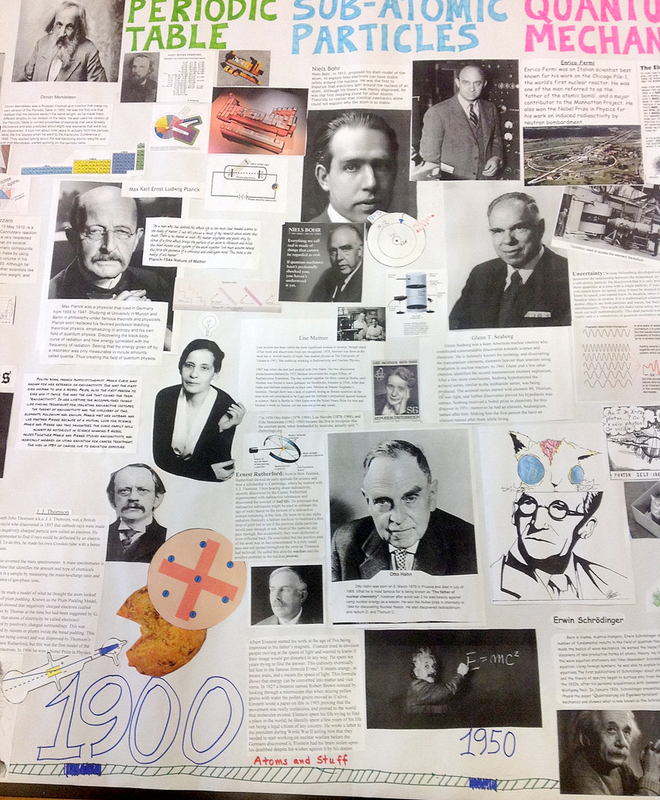 The entire banner with students from my chemistry class. 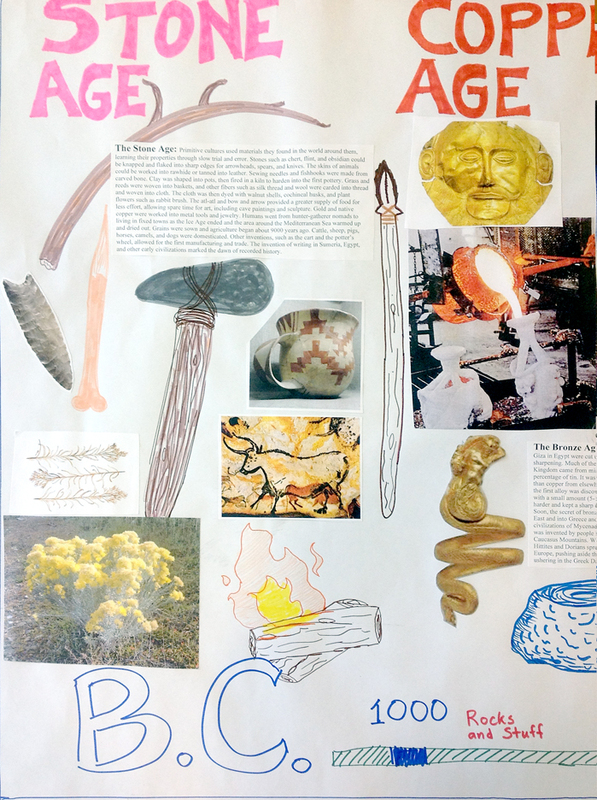 In addition to the 1700-present section, I included images, photos, illustrations, and text from all of history as humanity has learned to work with materials, isolated the elements, and proposed theories to explain what they observed. 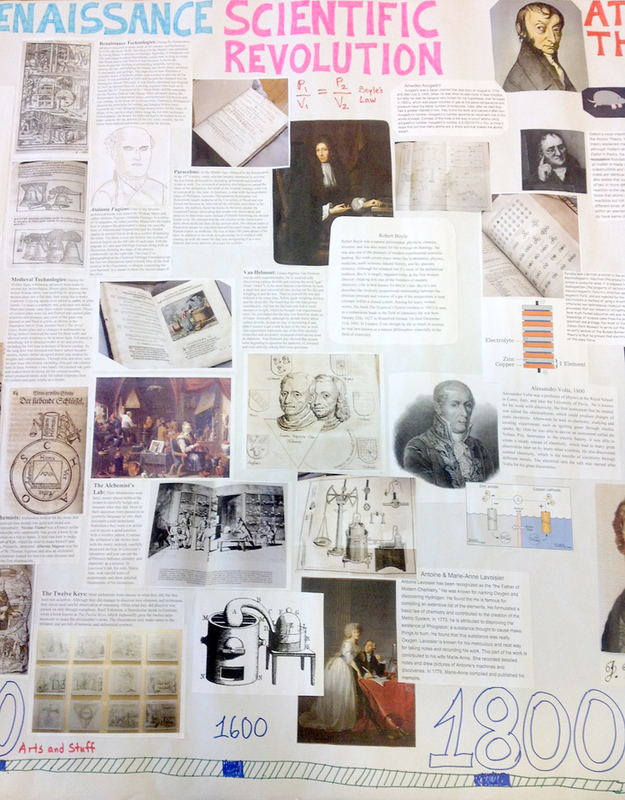 I also included materials on alchemy in the Middle Ages, China, and Arabian countries. Some of these were photos I had taken of ancient texts while at the Chemical Heritage Foundation in Philadelphia during the summer of 2009; I’ve been meaning to put them in a format that students can use. Students answering questions at the banner. I am also posting photos of the major sections of the banner here as well so that they can access the banner online over the next several days. 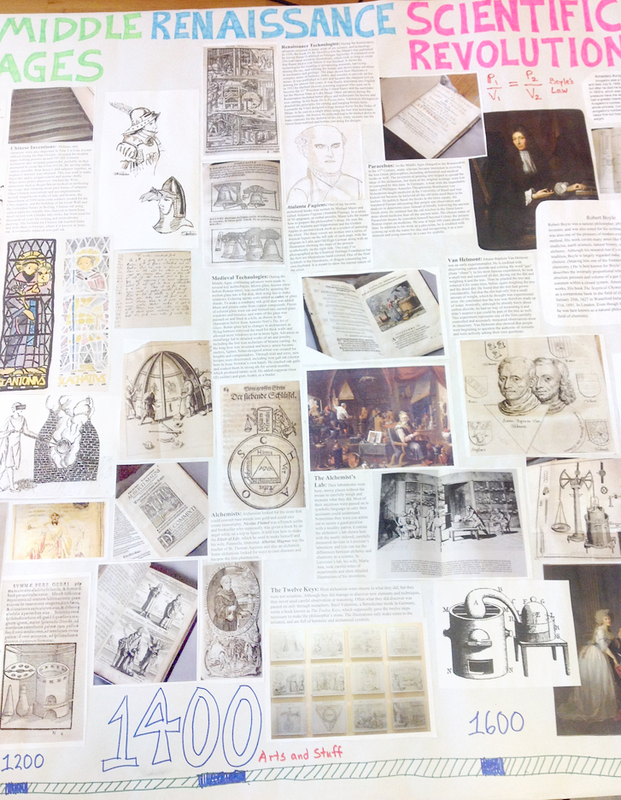 Medieval and Renaissance sections of the banner. 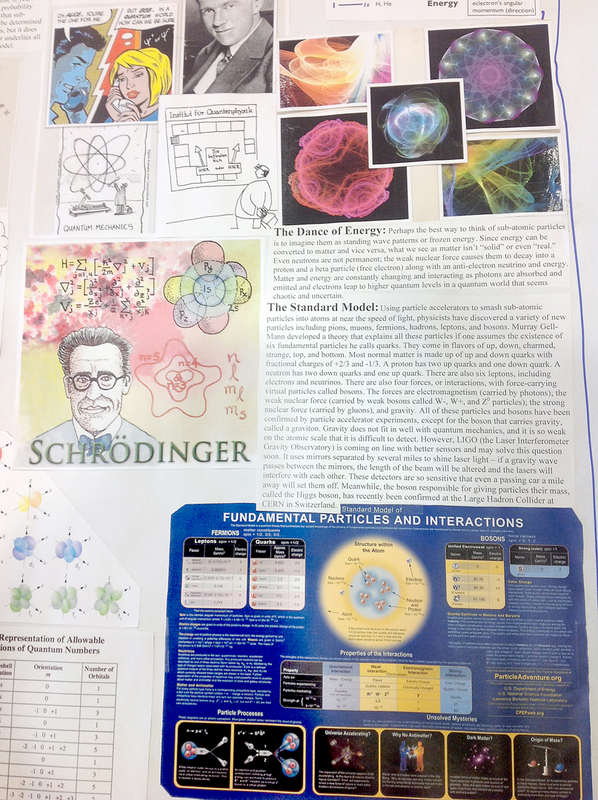 Schrodinger section of the banner.